Sometimes we get the wind knocked out of us! But we can get a new perspective by coming into God's presence and remembering the work of the cross and the power of the resurrection. 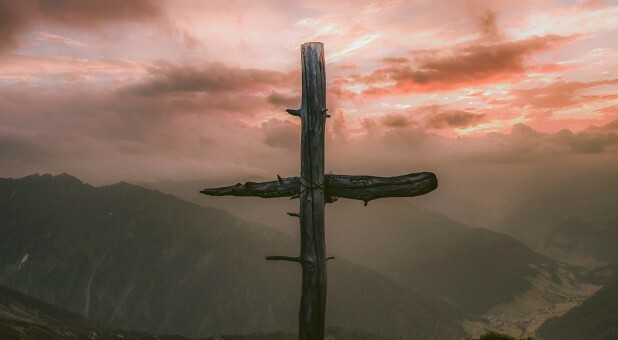 As we celebrate the Easter, or Resurrection, season that is directing us toward the hope and expectation of Pentecost, let us take the opportunity to reflect on the events of Jesus' final days. At the Last Supper, which signified the first Communion, the disciples did not have a full revelation of what was about to happen, though Jesus was trying to present it to them as they broke bread together. "As He sat at supper with them, He took the bread, blessed it and broke it, and gave it to them. Then their eyes were opened, and they recognized Him. And He vanished out of their sight." Once again, He had Communion with them. But this time—unlike the Last Supper Communion—their eyes were opened! They now had a fuller revelation of who He really was, and they knew Him! They now understood that Jesus Himself is the fullness of the godhead, and He wants us to be the fullness of the godhead bodily. "They said to each other, 'Did not our hearts burn within us while He talked to us on the way and while He opened the Scriptures to us?'" (verse 32). When Jesus first approached them walking on the road, the disciples were sad. But that changed after the Emmaus communion because now they had a revelation that they did not understand before—that the only circumstance of the day that mattered now was the manifest presence of God Himself! Their sadness turned into expectation. We cannot be ignorant of what is going on around us. There is a spiritual battle for the soul of a generation, and it wants to divide and conquer the church. It wants to create more racism and more division and more polarization. It is coming from every angle to divide and destroy the family, even to the point of allowing the killing of the unborn up to the moment of birth. And in the last few months, over 20 pastors that we know of in our country have committed suicide. All of this should be grievous to us. Are these things happening because the church no longer believes in God as the preeminent one? Or that Jesus desires to give His manifest presence and power to and through the church? Have we forgotten that there really is a spiritual battle going on? That's why we need His presence! One day recently, I was at my office, and I couldn't understand why every few moments I felt like weeping. The Lord reminded me that many of us are carrying a burden and, like Jeremiah, we are weeping over the state of this nation. God allows us to experience these moments so we know what's on His heart. And because we know the Lord, we are uniquely equipped to have spiritual authority when we pray. We need to maintain the manifest presence of God by being intentional in our place of prayer. It's not just about praying in public venues and stadiums—those things are good but they should be an outcome of what's already going on in our private prayer closets. We can wax eloquent in public, but if our hearts are not where they need to be in private, our prayers are powerless. We need to stay in His presence in private so He is with us everywhere we go. We need to be in communication with God—we need to dialogue with Him, not just monologuing and telling Him only what we need and what we want Him to do. He's not our sugar daddy in the sky. In that place of intimate interaction, He gives us a new sense of purpose and expectation. He renews our passion. The enemy might try his tactics, but we know who is on the throne. He's still the King of kings and He's still the Lord of lords. Our generation has lost the reverential fear of the Lord. Too often, we come before Him casually and haphazardly. Daniel 11:32b says, "But the people who know (Yada) their God will be strong and take action." The New King James Version says they will "do exploits." We have to get back to that place of an interactive, authentic, knowing God; that place of intimate fellowship, so that we can experience His power. In Philippians 3:10, Paul says he wants, "to know (ginosko) Him, and the power of His resurrection, and the fellowship of His sufferings (or passions), being conformed to His death." How can we have the power that breaks through without knowing Him or the passions of His heart? Our own intellect, abilities and giftedness are not going to change the circumstances around us. But the power of the Resurrection in us, the hope of glory, can! In Luke 24, after the disciples' eyes were open to Jesus, they were no longer sad. They had a sense of revelation and expectation in the midst of a world that was a mess. They knew something was up. He manifested again before He ascended and said in Luke 24:49 to "tarry." There's a season for tarrying. We've got to shut out the outside noise and set aside our differences for moments in time where we have the manifest presence of God through common adoration and worship, where there are no agendas of man but only the agenda of the Lord. "When the day of Pentecost had come, they were all together in one place. Suddenly a sound like a mighty rushing wind came from heaven, and it filled the whole house where they were sitting. There appeared to them tongues as of fire, being distributed and resting on each of them, and they were all filled with the Holy Spirit and began to speak in other tongues, as the Spirit enabled them to speak" (Acts 2:1-4). They went from not having full revelation at the Last Supper Communion to being confused on the road to Emmaus. Jesus appeared, and they invited Him to abide. During that Emmaus Communion with Him, their eyes were opened. Now they had a new expectation, they tarried, and God showed up—and they turned the world upside down! Have you ever been "wowed" by God like that—those times when God does something and you feel a fresh, renewed hunger for His presence and His Word? We need those moments like never before! We need a Yada moment, the time for us to get back to our first love, to remember the promises and to walk in the anointing and power that He has granted. Let this Resurrection season be our Yada moment so that we may walk in the authority and the power of the Holy Spirit, with a right attitude. Listen below for Doug Stringer's podcasts. Dr. Doug Stringer is the founder and president of Somebody Cares America/International and is the author of Leadership Awakening and other books. 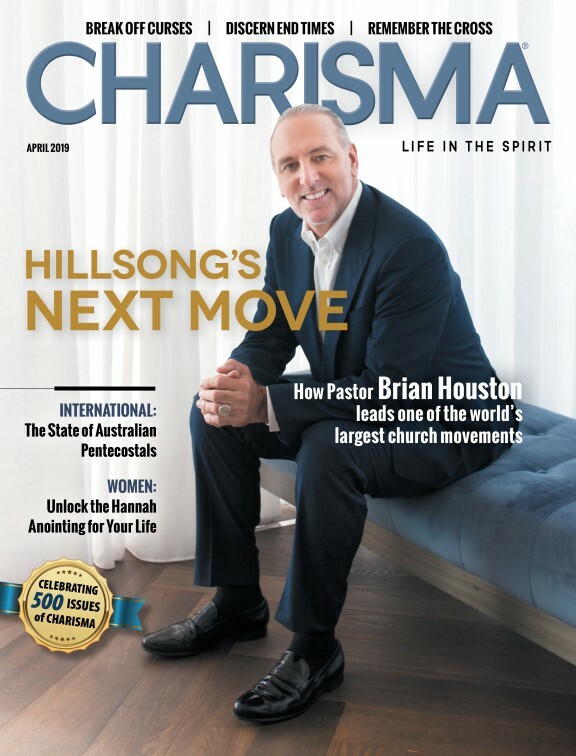 You can hear his weekly podcast, "A Word in Season," on the Charisma Podcast Network.